Having a practical coat and hat stand can make a real difference to your employees’ comfort in the office. 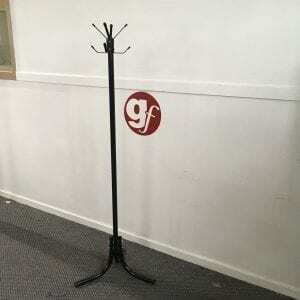 Rather than hanging coats over the backs of their chairs, these coat stands can be used to create a more professional and cleaner office space. 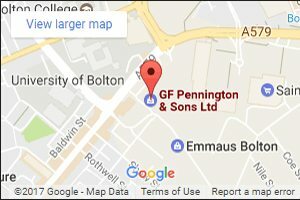 If you’re looking for used hat and coat stands in the UK, the Penningtons team are here for you. Here at Penningtons, we can deliver a complete range of used furniture, including used hat and coat stands. Whether you’re looking for modern or traditional designs, we are here for you. Our used hat stands are available at much lower prices than buying new. All our used furniture has been tested to ensure they are fully reliable. 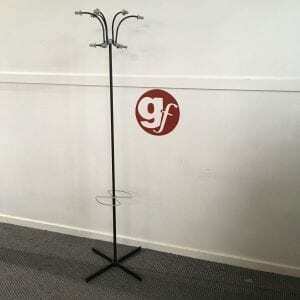 Here at Penningtons, we can provide a full range of used coat stands which are perfect for homes and businesses. If you want to keep your office looking professional, get in touch with our team today. You can reach our experts directly by calling us on 0800 688 9018. If you prefer, you can also use our simple online contact form and we’ll get back to you as soon as possible.